In this presentation, David & Mahtab shared their insights into Adult Learning principles and how those ideas might unfold within TESOL pedagogical contexts in the current globalising world. 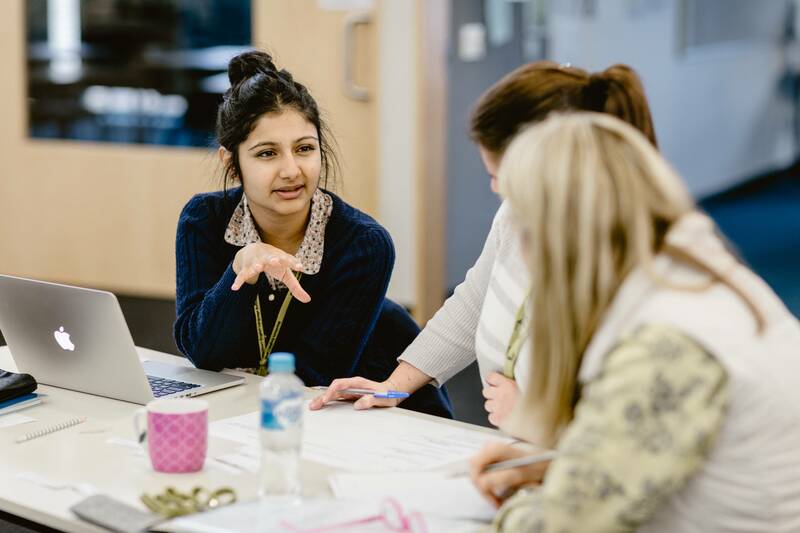 TESOL educators in the adult learning sector gathered to hear Professor David Beckett and Dr Mahtab Janfada, from the Melbourne Graduate School of education, explore issues around adult learning and TESOL education. Professor Beckett explained that adult learning for the 21st century, is rooted in the notion that individuals guide their own learning. Whilst this may be desirable in many settings, it belongs in a western tradition and may not be appropriate for all cultural groups. He noted that many cultures do not see self at the centre of all actions, objects and places, and that western educators need to be mindful of the many ways in which different cultures construct the self in the context of others, or think relationally. 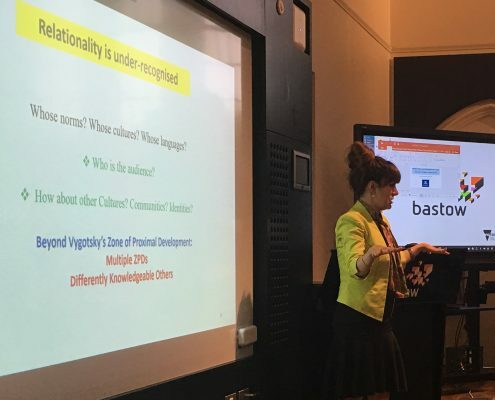 Thinking relationally became a theme of the presentation and encouraged the audience to reconsider ways in which we can think, teach and accept relational thinking in order to support language learning for adults. Dr Janfada went on to explore the ways in which adult learners grow through language and how with a holistic perspective, language as content is often the hidden mass of an iceberg submerged under water. All too often we may teach the tip of the iceberg and with a narrow focus, we miss opportunities for language learning and building identity in a new language along the way. In the 1960’s, study skills was a key focus. The teacher was positioned as an expert, to impart grammar; certain accents were deemed ‘in’ or ‘out’ (for example the Australian accent was unfavoured). This approach is problematic in terms of valuing the identities of adult learners and a focus on being ‘correct’ rather than on enabling the learner to build an identity through language in a new culture. Later, there was a focus on language as socialization bringing many sound ideas with it. The problem with this approach is that it ignores power relations and limits the agency of the learner. For example Vygotsky’s Zone of Proximal Development (ZPD), begs us to ask the question – Who decides where the target is? Whose ZPD is it? Where is learner agency in the ZPD? Finally critical literacy is a more holistic position that involves the learner, making the learner aware of audience, reflective, and accepting of different logic and systems. With critical literacy, L1 and C1 (first language and first culture) is a bonus, not a deficit. This gives the learner more agency and allows for identity to be negotiated and developed on the learners’ terms. Dr Janfada concluded with some reminders of the different ways in which languages and cultures express thought through text and dialogue. She displayed Kaplan’s diagram from his article “Cultural thought patterns in Inter-Cultural Education” (1966) where he explores rhetoric as a key to the difference in approaches to teaching “foreign” as opposed to “American” students. Dr Janfada also made mention of Bakhtin’s theory of Dialogue and explained the importance of poetry and succinct writing as a mode of expression in some cultures such as Persian, in contrast to western texts which are often longer. A great example of this was her own PhD, which she recently completed. She worked hard to meet the standard of 8 chapters, to find that her thesis was considered complete by the end of chapter 5. As a fan of text that is concise and considered, I look forward to reading Janfada’s research in the near future.